This post recognizing Darin Atteberry, member of the CPSE Board of Directors, is from the ICMA website. Darin is the City Manager for Fort Collins, Colorado, that is protected by the CFAI-Accredited Poudre Fire Authority, where he also is on the board. Darin Atteberry’s career in local government has been defined by excellence, innovation, taking organizations to the next level, and making sustainable improvements to the communities he has served. Colleagues and elected officials alike value Atteberry’s aspirational leadership and drive for results. They praise his knack for listening, fairness, aptitude for the political subtleties of their jobs, and deep respect for the council-manager form of government. Under his leadership, Fort Collins was one of the first communities in the country to adopt a priority, zero-based budgeting approach; conducted multiple reorganizations to better align service delivery; and was only the third municipality to receive the prestigious Malcolm Baldrige National Quality Award. 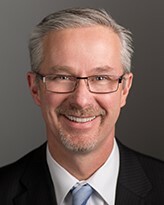 Atteberry worked in transportation planning in the Atlanta, Georgia, area, and Vancouver, Washington, until former Fort Collins City Manager John Fischbach hired him as the city’s assistant city manager. He began improving service delivery in Fort Collins by unifying complementary functions that had previously been separate, including communication and technology services and planning, development, and transportation services. He also led the creation of sustainability services, comprising environmental health, economic health, and social sustainability, and overseen by a chief sustainability officer. With guidance and support from the community and council, the city organization has long taken a triple bottom-line approach to policy decisions. Using tools like this assessment, staff consider all elements of sustainability in decision making. The city’s goal is to reduce carbon emissions by 80 percent below 2005 baseline levels by 2030 and to be carbon neutral by 2050. Atteberry transformed the budget process by overseeing the introduction of a version of budgeting for outcomes (BFO), which uses “buyers and sellers” to produce and select budget offers to build a comprehensive city budget. This method proved its worth, especially during the 2009 recession, when the city was able to make strategic cuts in noncompetitive areas, rather than across-the-board reductions. It also enabled the city to fund innovative ideas from the grass roots, increase transparency and community engagement in the budget process, and align the budget and its strategic plan. Atteberry finds leading practices and creative ideas he can use at home wherever he travels. Inspired by charming alleyways reserved for diners and shoppers he encountered on a trip to Italy, he initiated an alley improvement program in downtown Fort Collins that created pedestrian-friendly, aesthetically pleasing spaces. When focusing on the issue of municipal broadband, he invited the city’s incumbent Internet providers to speak to the council’s Futures Committee (another idea of his) about their vision for the future. At the time, neither of them had plans to provide fiber-to-the-premise ubiquitously across the city. Lack of vision wasn’t a plan. Atteberry led a survey of options available to the city. After a year of research, Fort Collins took a proposal to the voters that would authorize up to $150 million in bonds to allow the city to build and operate its own broadband utility. Despite a $900,000 opposition campaign led by the incumbent providers, voters approved the measure. The city plans a 2020 launch of the new system. A tireless advocate for systematic, repeatable improvement, Atteberry has fostered an organizational culture that supports the city in providing world-class services through operational excellence and innovation. In 2009, when Fort Collins adopted the Malcolm Baldrige Performance Excellence Framework, Atteberry led the creation of the city’s first enterprise-wise strategic plan, which is now connected to every budget offer. Other Baldrige innovations include improved recognition and management of the city’s 8,000 volunteers, implementation of a community dashboard to better track results, and creation of a process improvement and program evaluation division. In 2014, the state recognized Fort Collins with its highest honor, the Rocky Mountain Performance Excellence – Peak Award Level 4. In 2017, the city received the Malcolm Baldrige National Quality Award. Darin Atteberry believes that local government can be great. By encouraging staff to take their own initiative, relating with people on a personal level, relentlessly pursuing excellence, and challenging others to do the same, he has made local government great. Established in memory of former ICMA Executive Director Mark E. Keane, this award recognizes an outstanding local government administrator who has enhanced the effectiveness of government officials and consistently initiated creative and successful programs.